Things start out with a Debbie confessional assuring that Hali has no option but to go home, so there is no chance Hali is actually going home. Troyzan blows the reward challenge for his team and immediately gets his name put out for possible elimination, leaving Ozzy time to wax poetic about him being a provider again. Some more. Did you know Ozzy was good at fishing? Because this is brand new information! The reward was kind of lame, honestly, and this is coming from a coffee addict. The most interesting thing to come out of it was the solidification of the JT and Malcolm alliance, which feels like something other people could potentially sniff out and snuff out right away. In a big twist, Jeff announces right before the Immunity challenge that two tribes are going to Tribal this time. This makes the normally frazzled blind caller challenge something edging more on frantic instead, only to end with Varner sobbing when he can’t bring in the win for his tribe. 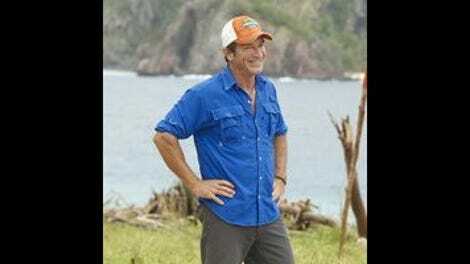 Probst drops a second twist: two tribes are going to Tribal, but only one person between them is going home. This adds an extra layer of the unknown to the strategy going into Tribal, in a way the show hasn’t explored before. Do the tribes go for an easy numbers game, or do they flip and vote with the other tribe? And how can they predict what the other tribe will do? The wild card in all of the discussions is JT, who has strong ties to the other tribe and an interest in getting out Sandra. But can a tribe that doesn’t have access to him before Tribal trust that he’d flip on his new tribe for old alliances? Tai finds an idol and decides to share that information with the rest of his tribe, which means basically anything can happen. Tribal Council devolves into a game of telephone when whispering and mini-strategy huddles break out almost spontaneously, shocking no one more than Probst. It is such chaos that when it’s time for the vote, it’s essentially impossible to tell who is going home. Once Tai plays his idol for Sierra and her name comes up in the votes, the waiting game to see who Sierra’s tribe wrote down (and thus who is going home) is like torture. To have it be Malcolm, when it seemed like it would be Sandra, is gutting for any of his fans and obviously for him, as his angry, tearful goodbye message proves. So what happened here? Obviously JT telling Brad that his tribe was voting for Sierra allowed them to use the idol on the correct person, and JT’s tribe was so secure in their majority that they didn’t see the need to split votes or change their original plan in the big scramble. But why did Sierra’s tribe vote Malcolm? Was that the plan all along or did they switch from Sandra in the big scrum? Chaos and surprise makes for exciting TV but sometimes exciting isn’t necessarily good. Unless it was? Who even knows right now?